B.A. (Hons) B.Sc. (Hons) B.A. B.Sc. B.Com M.A. B.Com(Hons) Ph.D Diploma P.G.D.C.A. M.Sc. M.Phil. P.G.D B.C.A. B.Ed. B.B.A B.E /B.Tech M.B.A M.E /M.Tech. B.A. L.L.B M.Com L.L.B L.L.M M.P.A. M.Pharma M.S.W. B.P.Ed. B.Voc. B.B.A. L.L.B B.Com.L.L.B B.Lib.I.Sc. B.P.A. B.Pharma B.S.W. BCJ BHCT Dual Degree M.C.A. M.Ed. M.Lib.I.Sc. M.P.Ed. This College is accredited by NAAC A (National Assessment and Accreditation Council) validity is 27 Mar 2022 and the score is 3.16 . Rubbish college. No wifi in campus. Very few placement. Less scope of knowledg. No Permanent faculty. Less facility . Less Interactions between Students and Teachers. High fee structure. Being a government Institute it has very high fees structure. Its my honest review. Facilities management supports worth-more efforts to provide an accessible, safe and supportive environment for all members of the college community. The Facilities Management department is responsible for creating, maintaining and operating a physical environment that enhances the learning,teaching and research activities. Planning and construction is responsible for the successful planning and development of quality facilities. Advanced projects are taken up that supports the mission of this college. Our campus is huge and green. All the faculty here is highly qualified and very supportive. Equal importance is given to both theory and practical’s. Infrastructure wise also our college is good, we have all kinds of labs starting from basic ones to the advanced ones and every one of these meet the requirement of industry. Well-known companies visit our college round the year and offer good jobs. The environment is quiet competitive which motivates us to perform better .We have lots of opportunities to improve our other talents like singing, dancing, public speaking etc. by taking part in various fests. 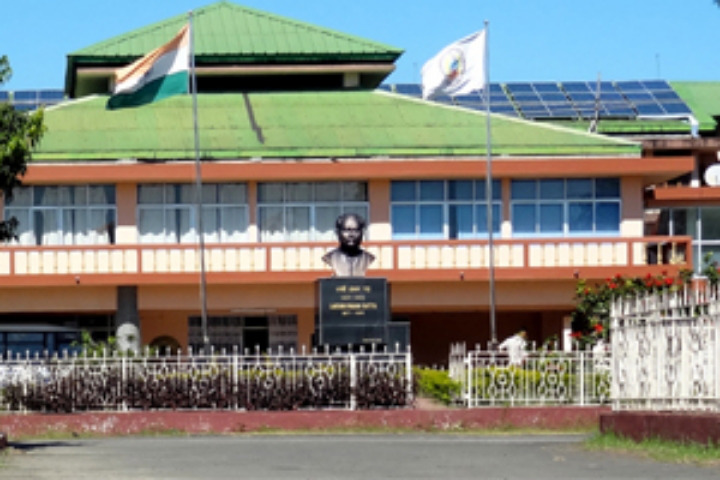 The Dibrugarh University is one of the oldest universities in the North- Eastern region of the country. It was established back in 1965, in the city of Dibrugarh, as the name suggests. The sprawling university campus, covers a total area worth five- hundred and fifty acres of land in the state of Assam. It is a state government university, approved by the UGC (University Grants Commission). Another feather in its cap, has been the accreditation received from the NAAC, where the Dibrugarh University has earned an A grade. A separate IQAC (Internal Quality Assurance Cell) has been created to this end, to ensure that all the terms of the NAAC are complied with. An AQAR (Annual Quality Assurance Report) gets generated to quantify the results. The relevant courses here, have also been marked by the AICTE (All India Council for Technical Education). The university is also a member of both the AIU (Association of Indian Universities) and the ACU (Association of Commonwealth Universities). The Dibrugarh University holds sway over nine districts of Assam, where one- hundred and seventy- seven colleges are affiliated to it. Those nine districts are that of- Tinsukhia, Dibrugarh, Golaghat, Jorhat, Majuli, Sivasagr, Lakhimpur, Dhemaji and Charaideo. The MHRD (Ministry of Human Resource Development) conducted NIRF (National Institutional Rankings Framework) has also recognized the efforts of this university. The Dibrugarh University got placed within the 101- 150 band overall. It did even better in the individual ratings within universities and for pharmacy colleges by achieving ranks 84th and 29th respectively. The Careers 360 magazine has also expressed its appreciation by putting the Dibrugarh University at rank 84th among engineering colleges, with a AAA category. 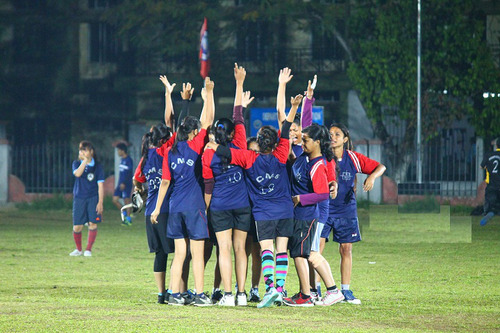 The entire academics here at the Dibrugarh University is run by a cohort of schools, each possessing expertise in its own area. 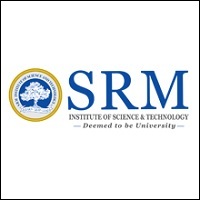 There are schools here for Education, Science & Engineering and for Commerce & Management Science. In addition, there is the School of Humanities, Social Sciences and Law. And there is the School of Earth, Atmospheric Science, Environment and Energy. Courses are awarded here, right from the undergrad till doctoral levels. 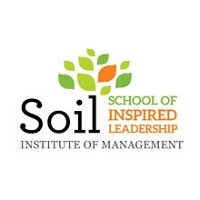 The institute is also a key facilitator of a Ministry of HRD initiative with the World Bank. 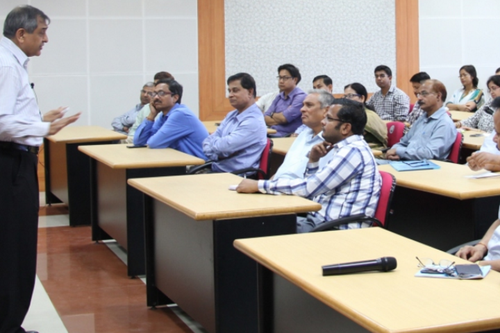 It is a programme titled TEQIP (Technical Education Quality Improvement Programme). Research plays a very important role at the Dibrugarh University in Assam. That is why several extra- mural research projects have been undertaken. Examples include those on “Practical Effects of Literature on Youth” and “A Story on the History of Assamese Poetry (Charyapada to Arunodoi). Several research centres have also been established on campus. These are for the areas of- Sattriya Music Studies, Youth Studies, Women’s Studies, North- East Studies and for Comparative Culture Studies. There is a rich publications wing here at the Dibrugarh University. Just short of seven- hundred conference papers have been presented from here. Three- hundred and sixty- six book chapters have been contributed by the faculty members. More than one- hundred and eighty books have also been published here. And finally, there is the super- impressive tally of nearly two- thousand and seven- hundred journal papers. In order to green- up the campus even further, a science and culture park has been established here. It is named after Shri Hitendranath Barua. Several projects have also originated from international donor agencies. These are from the bodies of- DST (Department of Science and Technology), SAP, DRS and FIST (Fund for Improvement of S&D Infrastructure”). A separate publication database is maintained. The placements have likewise done quiet well in recent years. The campus has much to offer. 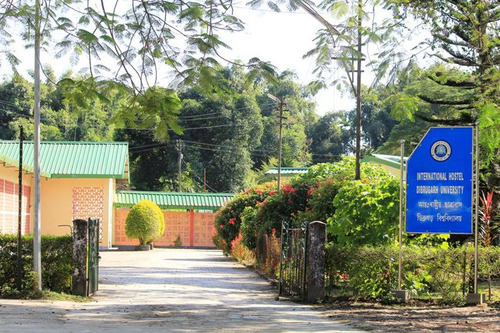 There are hostel facilities for both boys and girls. There is a sports field where cricket and football may be played. Facilities are also there for indoor sports. The gymnasium may also be used by all. A large auditorium is there to facilitate major events, at both intra and inter college level. The campus is Wi- Fi enabled. Science laboratories have the latest of equipment. A health centre is also there to cater to medical emergencies. Hygienic food is prepared at the college cafeteria. A convenience store is also located within campus. The library here is one of the best stocked within the region. Besides the physical books on display, it also provides digital access to en number of international academic journals for research and academic purposes. This College is accredited by NAAC (National Assessment and Accreditation Council) A validity is 27 Mar 2022 and the score is 3.16 . I.T Infrastructure :There is a central Internet facility in Dibrugarh University. It is located in the Lakshminath Bezbaroa Granthagar. It is equipped with a 256 Kbps VSAT link and a 2Mbps Broadband link. Students can use this facility at a nominal charge. Besides, all departments and centres have separate Internet connectivity. The students can contact the System Administrator, Internet Centre for details regarding the timings and admission. Library :Though the Dibrugarh University was established in the year 1965, the university library came up only in the month of April of 1967 and initially started functioning with merely 997 books positioned in a room in the D.H.S.K. Commerce College, Dibrugarh. This small library was located along with the Department of Education formerly known as Institute of Education. The library was shifted from the D.H.S.K. Commerce College to the new permanent university campus at Rajabheta sometime in between the months of August-September of the same year and housed in an old tea factory along with some other departments and administrative blocks. At the beginning, the library had membership strength of only 5 teachers, 3 research scholars and less than 100 students from 4 science and 7 humanities and social sciences departments including Department of Law and Institute of Education. This small groups of users were served initially by the newly appointed Deputy Librarian, Mr. Ramesh Phukan and two L. D. Assistants. The Dibrugarh University library got a right start with proficient leadership of Mr. Ramesh Phukan, an M.A. with Diploma in Library Science from BHU, as he already had huge work experience as Senior Deputy Librarian of State Central Library at Shillong under the able guidance of famous Librarian Mr. Ram Goswami, renowned in his own stature as a library professional of Assam. The library was gradually intensifying its activities and services and by the end of the year 1982 the total library collection crossed 1,00,000 in volumes. 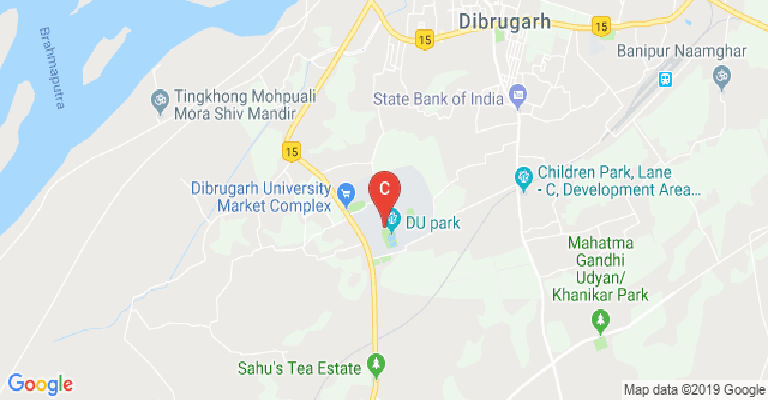 Guest Room/Waiting Room :The Dibrugarh University Guest House is located against a picturesque backdrop of lush green tea gardens. The Guest House has two wings: The New Wing and the Old Wing. The New Wing consists of 13 Standard Rooms, 16 Deluxe Rooms and 6 Suites and the Old Wing consists of 6 Regular Rooms and 5 Budget Rooms all of which are maintained in a manner ensuring a comfortable and convenient stay for all guests. Situated by the National Highway No. 37, the University Guest House is 4.8 Kms away from Chowkidingee Bus Stop, 10.4 kms from Assam Medical College. It is about 5.3 kms away from Dibrugarh Railway Station, and 21.6 kms from Mohanbari Airport.